The National Wedding Show returns for a new season this autumn at Earls Court in London from September 28th-30th, and at the NEC in Birmingham from October 5th-7th. Having visited The National Wedding Show this spring in London, I can highly recommend a visit if you’re looking for inspiration for your wedding flowers. You’ll find an amazing selection of 250 leading brands and suppliers to offer ideas and inspiration to anyone planning and shopping for their perfect day- including an unrivalled selection of bridal designers and boutiques, beautiful accessories, cake designers, photographers, honeymoon suppliers and much more. The newly introduced Vintage Area celebrates gorgeous design from a hand-picked selection of vintage inspired brands…you’ll find dresses and cakes, to stationery and decor ideas. There is even a vintage-theme cafe to relax in with a quintessential cup of tea and slice of cake. Tickets cost £13.50. VIP packages, which include fast track entry, a complimentary glass of Freixenet, reserved catwalk seating, and a complimentary Glossy Box of beauty products are also available with tickets priced at £35.00. Or why not take advantage of the new two-day weekend ticket, £18 in advance, £20 on the door, and visit the show on two days for even more inspiration? For a chance to win a pair of tickets for the National Wedding Show either in London or Birmingham, simply leave a comment below telling me the name of your favourite flower. Please specify London or Birmingham too. Standard tickets valid for Friday only. The competition is open until midnight on Monday, 10th September. I’ll put all the names in hats and choose two winners for each show, who’ll be notified by email on Tuesday, 11th September. For more information about the show or to save money by booking advance tickets, visit The National Wedding Show website or call the ticket hotline on 0844 581 1404. P.S. If you’d like to see my blog posts about the florists at the spring show in London, here are Part 1 and Part 2. I love the classic shape of the simple tulip with so many colours available they cheer up any occasion. Simply beautiful. I absolutely love dahlias! You just cannot beat British grown dahlias – they are just stunning! (am interested in the London tickets). Sunflowers always make me smile! My absolute favourite flower is the peony – adore the bright, bold colours that this gorgeous flower comes in, the full-head and the beautiful smell. 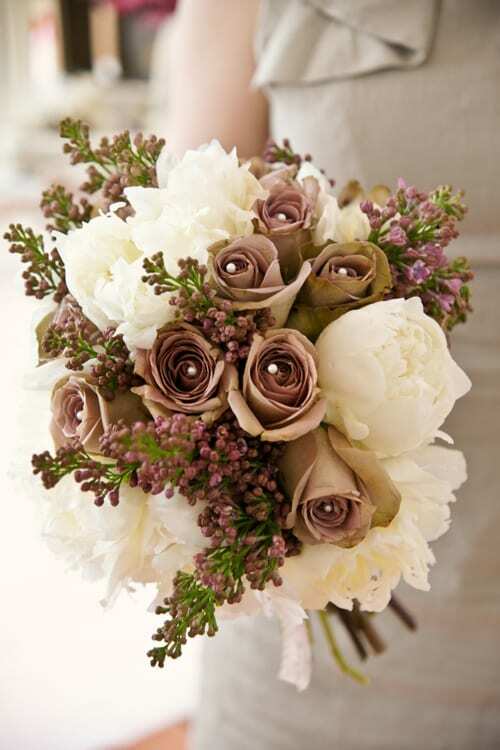 Want hot pink peonnies in my bridal bouquet. I love frangipani’s as they are such a pretty and exotic flower. I love tulips, any colour and shape. Simple and so pretty. I would like to attend the London show. I’m just starting to truly embrace flowers ahead of my wedding and keep being drawn to cherry blossom. It feels so airy and whimsical. Birmingham please. Many thanks to everyone so far for entering the competition :-). My favourite flower is the memory lane rose, it is so romantic and soft. If I am lucky enough to win I would like Birmingham please. I have fallen in love with Avalanche Roses, just so soft and ice cream like. My favourite flower would have to be the majestic protea, and i would very ,much like to win tickets to the London show. My favourite flower is the ROSE. They all bring smile to my face, the shape, smell and stems are totally beautiful, whether in a garden or bouquet. I love Lillies, they are tall elegant flowers that look totally stunning and amazing. I have just started in business – vintage crockery hire business across Berkshire, Hampshire and Surrey – anything like this would be marvellous for us, it would be our first show….. Thank you for your comment on Flowerona. Unfortunately, the competition is closed. The London show has now taken place and the Birmingham show is taking place from October 5th-7th.